Will Viorica Dăncilă win the motion of no confidence against her government? Romania's government is set to face a motion of no confidence from the country’s opposition parties on Thursday. The official motion will be presented in front of parliament on Monday to challenge the ruling coalition headed by the Social Democratic Party (PSD). 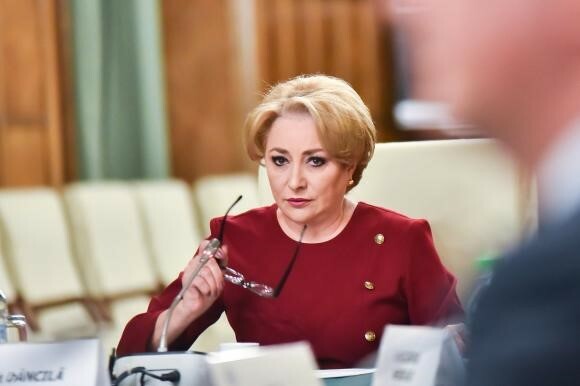 The government is headed by Prime Minister Viorica Dancila, who was appointed earlier this year. Romania’s National Liberal Party (PNL) is leading a coalition of 163 MPs from PNL, Save Romania Union (USR) and Pro Romanian (PMP) parties to sign and back a no confidence motion against the Dancila's government. The opposition accuses the ruling PSD-ALDE coalition of proposing recent amendments that they say endangers judicial independence. The ethnic Hungarians’ party (UDMR) will most likely not back the motion, giving Prime Minister Dancila a chance to remain in power. According to Romanian law, one no confidence motion can be filed per parliamentary session. A previous no confidence motion against the Dancila government failed to gain the necessary support in July.